Brock, R. L. & Lawrence, E. (2008). A longitudinal investigation of stress spillover in marriage: Does spousal support adequacy buffer the effects? ​ Journal of Family Psychology, 22, 1, 11-20. Broman, C.L. (1993). Race differences in marital well-being. Journal of Marriage and Family, 55, 724-732. Broman, C.L. (2005). Marital quality in Black and White marriages. Journal of Family Issues, 26, 431-441. Family Theory & Review, 2, 157-174. Fossett, M. A., & Kiecolt, K. J. (1991). The effects of male availability on marriage among Black Americans: A contextual analysis. In R. J. Taylor, J. ​ S. Jackson, & L. M. Chetters, Family life in Black America. Thousand Oaks, CA: Sage Publications. Kelly, S., & Hudson, B. N. (2017). 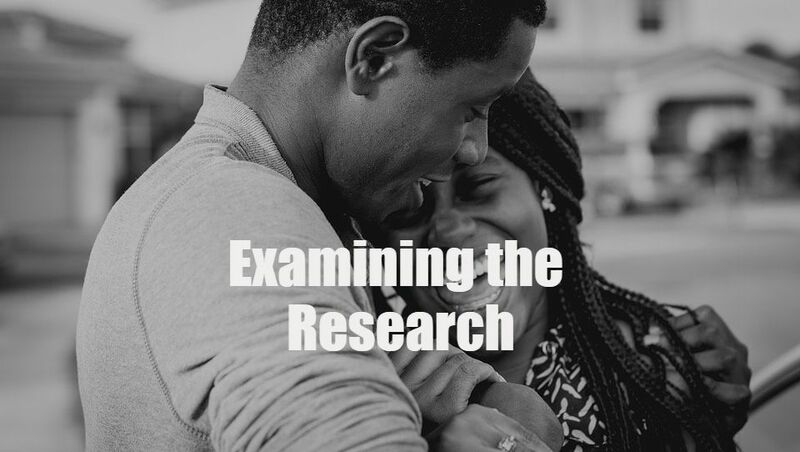 African American couples and families and the context of structural oppression. In S. Kelly, Diversity in couple and family therapy: Ethnicities, sexualities, and socioeconomics. Santa Barbara, CA: Praeger. Kuo, J.C. & Raley, R.K. (2016). Is is all about money? Work characteristics and women's and men's marriage formation in early adulthood. Journal of Family Issues, 37, 1046-1073. Scanzoni, J. (1982). Sexual Bargaining: power politics in the American marriage. Chicago: The University of Chicago Press. ​ in marriage among African Americans: causes, consequences, and policy implications. New York: Russell Sage Foundation. Western, B. & Wildeman, C. (2009). The black family and mass incarceration. The Annals of the American Academy, 221-242.